Since last week I talked about five of my favourite non-basic action cards, I figured this week I’d talk about five of my favourite basic action cards. For those not in the know, every deck must contain two basic action cards and their dice can be purchased by either player. They can provide many useful effects but just be aware that they could be used against you. 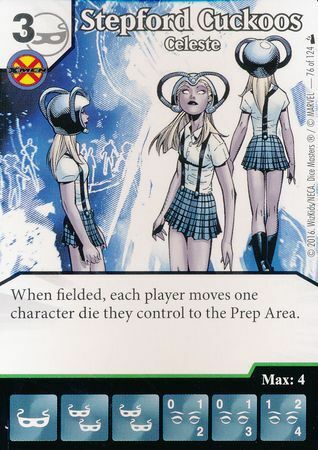 There are also some cards that can use their effects without having purchased and rolled an associated die. 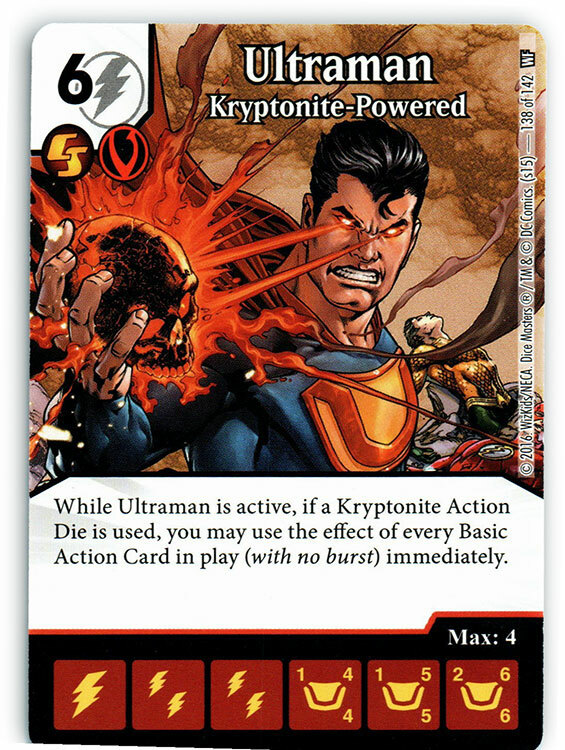 Ultraman – Kryptonite-Powered from DC Worlds Finest is a great example of a card that can do this (and also a great card to build a deck around.) With that said, lets get on to the topic at hand, my five favourite basic action cards in no particular order. Here is the newest card on the list and the one I’m kicking it off with. This became a new favourite of mine when I busted it out in a new deck and found it to be quite powerful. Just by reading it you may think that it’s quite expensive for its effect. 5 cost is rather high for any die, let alone a basic action die, and for 5 you could be getting a Delayed Blast Fireball to wipe your opponents field with. However, whereas DBF may be great in a more aggresive deck, I think that One Against Many has a great spot in a more control/defensive deck. At worst you do 2 damage, which is the same as a Magic Missle. However it’s very unlikely that your opponent will have no characters on the field, you’re much more likely to get 5-7 damage with one of these which is a much better value proposition. If you’re opponent is running something like sidekick swarm then you could potentially hit for half of their life with one die. That’s nothing to scoff at and is why I’m including it in this list. Here is a card that is well deserving of it’s spot on any list of this sort. Villainous Pact is primarily played for it’s Global ability which allows you to draw a die from your bag and place it in the Prep Area so long as you don’t already have any dice in your Prep Area. This effect is yours for the low, low price of 1 Mask energy. Having access to easy to use ramp is always a good thing and this card, especially combined with Resurrection (similar effect for 1 Shield) can allow you to prep extra dice every turn. However, even though its Global is awesome, let’s not forget about its rolled effect. For 4 for a die you get the ability to prevent all of your opponents dice from blocking with the exception of one. This effect however is useless against a villain deck and you should probably forgo buying any of these if you find yourself opposite one of them. This card can be a real boon in an agressive deck and can easily help you swing for a game ending, or at least tempo shifting, attack. If any card is made for a combo, it’s this one. With Vicious Struggle, any damage you take until your next turn is also dealt to your opponent. Keep in mind that this includes damage you deal to yourself as well as damage done to your opponent. A simple combo with this card is the basic action card Fireball. Fireball will deal 2 damage to each player and character on the field, so with Vicious Struggle active you will take 2 damage, all characters will take 2 damage, and your opponent will take 4 damage. That’s just a very simple combo with this card and I will leave it up to you my readers to come up with more. Needless to say this is one of my favourite cards because of it’s heavy combo goodness. 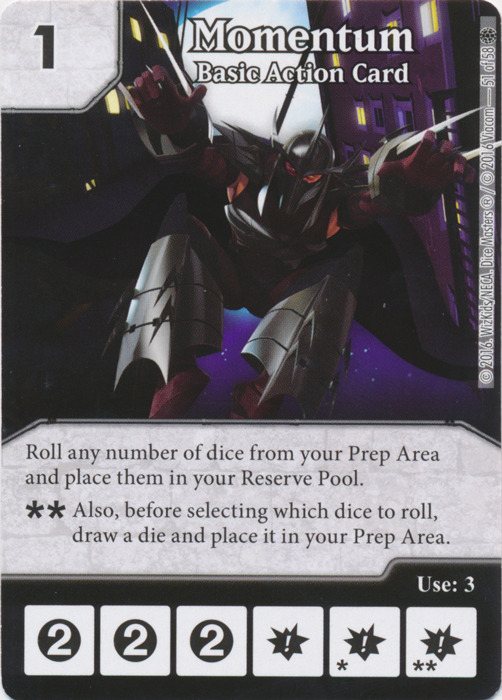 Another of the newer cards on this list, Momentum comes to us from the TMNT: Heroes in the Half-Shell set. 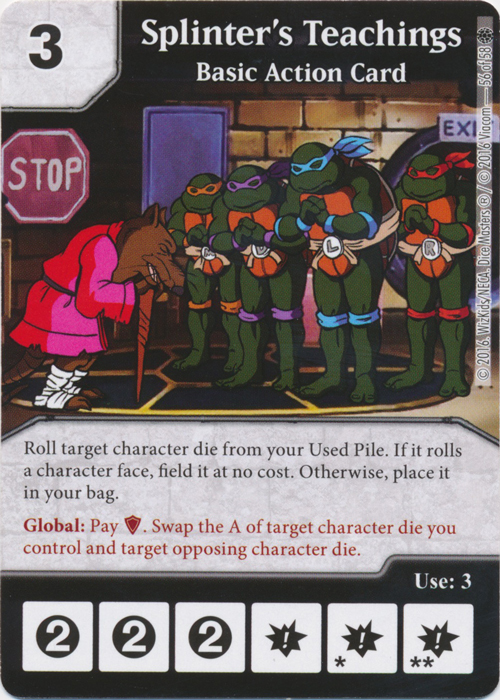 This card is notable for being only one of two 1 cost basic action cards, both of which have come from TMNT sets. I think this one is much more useful than Pizza because I like its effect more and it doesn’t have a life point limit on it. The effect on this card is quite useful, especially if you can hit the double burst face. Being able to roll a die from your Prep Area can be quite useful, and being able to prep a die before rolling from their is great too. However I think that the biggest use for this card comes from the simple fact that it costs 1. If you go first and roll all three dice as energy faces, I wouldn’t consider buying up all three copies of this card to be a bad move. You just added three dice to your bag that can potentially roll a 2 energy face. This card provides some solid ramp and a decent effect into a cheap cost, I like it. 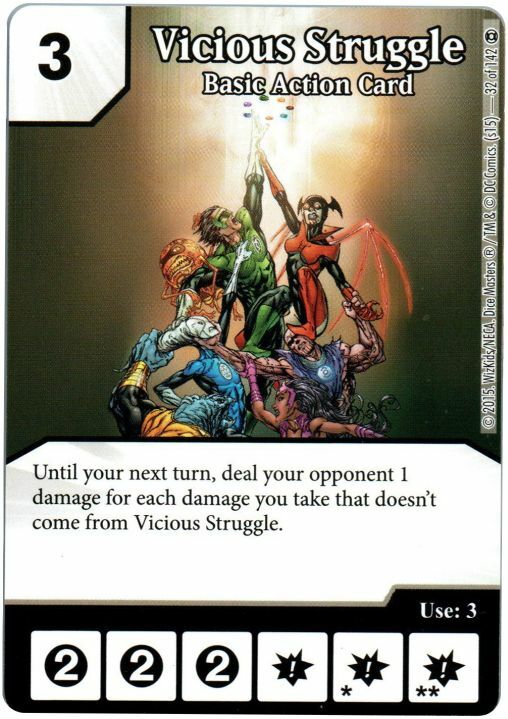 This card is a reprinting of Transfer Power from the Uncanny X-Men set, this card comes to us from the same set as Momentum, TMNT: Heroes in the Half-Shell. The effect you get from rolling this die is quite strong. Any ability that lets you not only get a die out of your Used Pile, but also roll and potentially field it for free, is quite strong. With that said, there is always the chance that you either won’t have an eligible die (sidekicks don’t count) in your Used Pile, or you may end up hitting a non-character face on the die you do roll. In either case the action is largely wasted and your down one die for the turn. However when it does hit a character face, then you’re sitting pretty. My favourite part of this card has got to be the Global ability. Paying 1 Shield to swap the attack of one of my characters with that of an opponents is fantastic. You can use this effect after attackers and blockers are declared, so I love attacking, then swapping the attack of my opponents largest creature with that of one they let through. Smacking an opponent for 5+ with a sidekick is a lot of fun and very satisfying. So these were some of my absolute favourite basic action cards. I hope my insight on these cards and why I like them can help influence you to consider the basic action cards you put in your deck a little bit more closely. Every card has its use in certain situations and it’s up to us to figure out when and how to use them. So get your favourites but remember that even if a card is your favourite don’t necessarily run it in a deck for that reason. Pick the basic action cards that best compliment your deck or ones that can counter weaknesses in your deck and you will be all the better. Thanks for reading, keep the dice rolling. 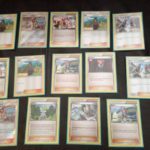 Building a Pokemon TCG deck on your own is no easy task. With so many cards available to use, it’s your job to pick out 60 cards that would work together to create a winning strategy. But, how do you choose? 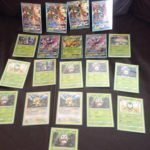 In this article I will discuss some basic guidelines that can help you unleash the full potential of your deck. A deck should ALWAYS have a focus! How are you going to beat the opponent? Are you going to wall them out until they draw out, are you going to deck them out, shut them off from using items, or are you going to win the prize battle? This needs to be decided up front and then go towards that one goal. If you really want a Tier 1 deck that can hold it’s own against any and all match ups and make it to a higher level tournament someday, then you need an absolutely consistent deck. Look at a list of all the major Pokemon TCG Master and Senior division championships that have been won since the start of Pokemon TCG and look at the decks that were used. To improve the consistency of your deck, play it a couple times. While you do this you can also create a log of your plays. This would be keeping track of how many loses you had because you couldn’t find a certain card and how many times you drew into a dead hand because you didn’t have any draw support. If you had a great startup but found yourself low on energies mid-game then you should add some more energies, ways to search them from the deck, or ways to get them from the discard pile (depending on your situation). If you find yourself getting stuck with bad hands and no way to get out of them try adding a Pokemon, trainer, or supporter that can help you recycle your hand. Keeping track of why you are losing is the best way to fix it. If there is any one part of this article that you take with you and you forget everything else, remember that an amazing deck has to be absolutely consistent over everything else. Make sure you understand what your deck is weak against (Pokemon type, play styles). And then adjust your deck a accordingly based on how big of a problem they are/how often you think you will run into them. That way when someone thinks they have the upper advantage against you just by looking at your start, you can throw them off their strategy mid-game. Understand what your weaknesses are and plan ahead to counter them as best as you can. Being able to attach more than one energy per turn is probably the second strongest core strategy other than draw power. Being able to go through your energies faster then one per turn not only allows an already quick deck to become turn 2 killer, but it also helps you have a backup attacker ready. If your deck doesn’t have any ways of adding energy acceleration to it then don’t worry, but if there is a way then it will probably be worth the card space to include it. Start by finding a Pokemon that you like. 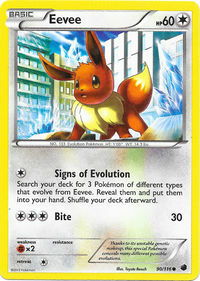 If it is a Stage 1 or Stage 2 Pokemon, try to put two or three in the deck, and four of the Basic Pokemon. 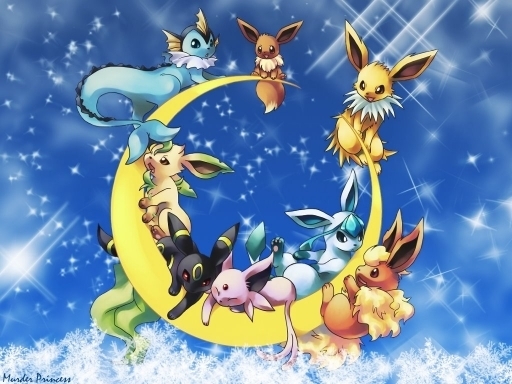 After the favourite Pokemon has been picked, try to find other Pokemon of the same type (Fire, Water, Grass, Electric, etc. 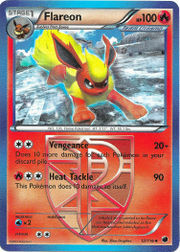 ), to compliment the main Pokemon. If you want, you can have multiple different types of Pokemon in the deck, but for a new player, it’s best to limit it to one or two types. Just make sure you don’t have more than four of any one card. 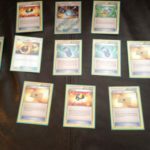 You may think that you should have 20+ Pokemon cards in a deck to make sure that you have Pokemon available for every scenario, but this is actually going to hurt you in the long run. Most decks run around 12ish Pokemon cards. The reason for this is because you never want to be stuck with a dead hand (a hand where you have a bunch of cards that you can’t play). Once you have your Pokemon chosen, it’s time to move onto Energy. Energy is needed to power the Pokemon’s abilities. 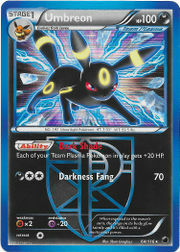 Try to match the symbols on the Pokemon in the deck. The average amount being about 8-12 energies per deck. 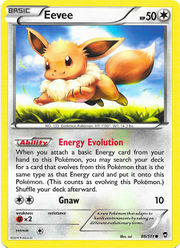 If the deck has Pokemon of two different types, make sure to include Energy of both types. You can have as many copies of Basic Energy cards as you like. Special Energy are also an option. They can be more versatile, but a deck can only have four of any kind of Special Energy. It’s also important to note that very few competitive level decks ever have more than two types of energies, with most of them only having one type. Having more than two types of energies in your deck threatens your ability to find the energies you need for the right Pokemon. Another thing to consider is most decks run 6-15 Pokemon, meaning that trainers are definitely the important bulk of of the deck. When picking Trainer cards, try for a good mix of Items and Supporters. Here’s why: during a player’s turn, only one Supporter can be player, but multiple Items can be played. Stadiums behave differently; they sit between two players and affect both players whereas most cards only affect one player. Again, there can only be a maximum of four copies of any Trainer card in your deck. Trainers are a unique concept for a card. They have an incredible amount of uses, but don’t really do anything special by themselves. There are disruption trainers that aim at throwing off your opponent (detaching energies, making them do less damage, higher retreat cost, forcing a switch, etc.). There are draw trainers that help you build a better hand, or even completely scrap it for a newer/fresher hand. Hand play-ability is everything. 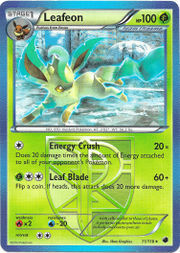 Energy trainers help you find energies from the deck, attach extra energies in a turn, or get them back from the discard pile. Phase trainers focus on allowing you to switch your active Pokemon or force the opponent to switch. Tools are trainers that can be attached to your Pokemon to give them a needed boost or extra effect. 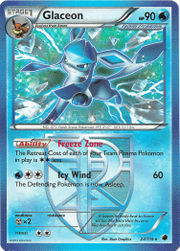 Pokemon trainers help you find Pokemon from the deck or get them back from the discard. 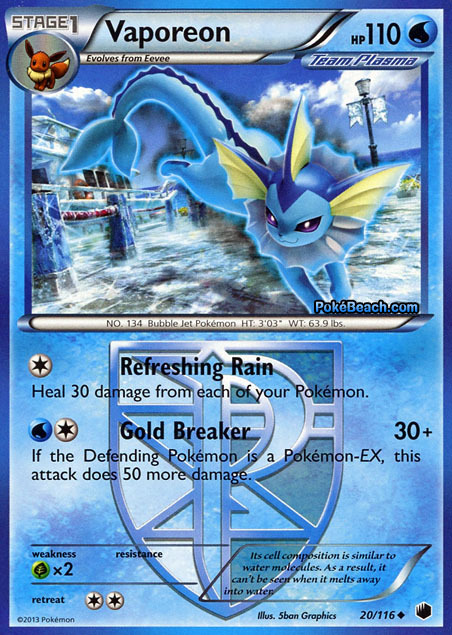 Supporters are a special type of trainer card that can do any of the above things I mentioned, but you can only use one per turn. The reason this becomes important is that most supporters have better abilities than normal trainers, but some of them have the same effect. Ultimately you should remember that the Supporters’ main focus is for greater draw. 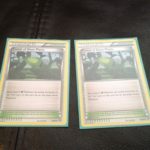 Blake’s Weekly Rant – Topic: Value. 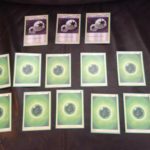 For this article I figured I would talk a little bit about some of my favourite cards in the game. None of these cards are going to be in any particular order, they’re just ones that I find fun and/or interesting. So without further ado let’s get to it! 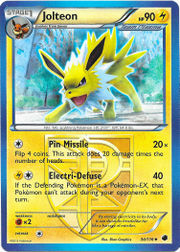 A common out of the Green Arrow / Flash set this card helps to fill two roles in any deck that utilizes a Bolt or Shield character. 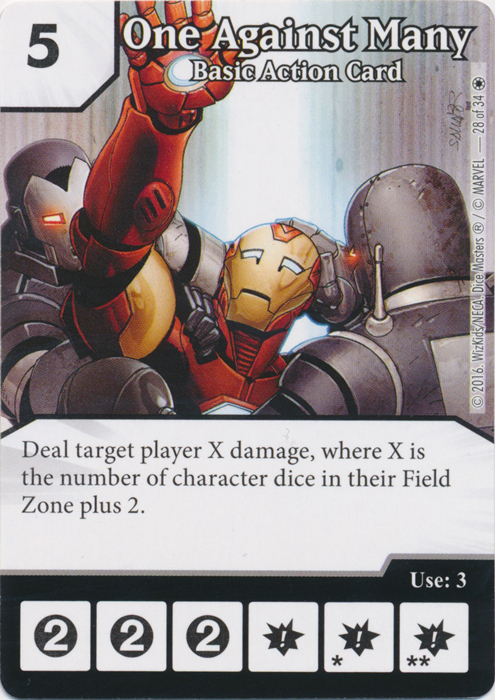 It’s a great form of removal when using it as an action die allowing you to deal damage equal to one of your character dice to any other character on the field. Two things stand out to me with this card; one is that a character of yours deals damage to another character; the other is that you can deal damage to any character on the field, even your own. This makes a card like Mr. Freeze – Deep Freeze a little more playable as you can damage an opposing die with him without having to attack or block. In golden age you can combine a high attack Bolt or Shield character with Jocasta – Patterned After Janet and deal huge damage directly to your opponent. 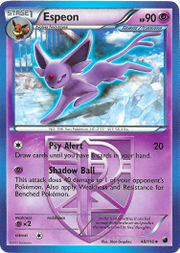 The other use for this card, which works in any deck, is its Global. By paying a Bolt and a Shield you get to move one sidekick from your Used Pile to the Prep Area and one sidekick from your Used Pile to the field on their 0-1-1 face. An important thing to note with this is you can use the effect even if you only have one sidekick in your Used Pile. You simply do as much of the effect as you can, which in this case would be to move a sidekick to your Prep Area. This ability helps to ramp up your deck, throw out a blocker on the field, and fill a gap left by Professor X if you’re playing modern. I have a bit of a love/hate relationship with this card. I love it because it is a great value for your resources. I hate it because I never want to buy anything other than it until I’ve bought all four copies that I will run. He’s great ramp if you’re running higher cost Bolt characters, plus he’s fantastic on his own. He will consistently deal at least one damage to your opponent every turn, although you take the same. The only weak part of him is his Level 1 face, and even then you may be able to swing through and deal two damage. Another thing I like about Rocket is that he combos quite nicely with my above card, the S.T.A.R. Labs. Together a Level 3 Rocket with S.T.A.R. Labs could knock out a pesky blocker and swing for five damage. Two low cost dice for a potential 1/4 of your opponents life, that makes me happy. The only real downside to running this version or Rocket and not his other 2 cost (same stats, no effect) is when you have less life than your opponent. You’ll be holding him back as a blocker then so you don’t dig yourself further into a hole. Here is a card that I thought was both strong and balanced as soon as I saw it. Although it doesn’t allow you to target your opponents die to get send to the Prep Area it can still cause some complications for them and nice combos for you. If you just want to continuously remove an opposing die from the field every turn you can just use Celeste’s effect on herself and send her to the Prep Area every turn. Or you can combo her with anyone with a “when fielded” effect or “Back For More” ability. By using other forms of removal in conjunction with her you can actually get a fair amount of control over what opposing die gets sent to the Prep Area. The flexibility and utility of this card make it one of my favourites. Another card from the Deadpool set. This card is a great action to combine with a low cost attacker that you run multiples of. This die, when it lands on an action face, goes onto a character card of yours and whenever you field a copy of that character, all active dice of that character get +2A. One of my favourite combos with this card is the 1 cost Morphing Jar from the Yu-Gi-Oh set. In fact I call one of my decks “Morphing Jar in a Flying Car.” Using this card you can either store up a big attack by buying and summoning a few copies of one of your favourite dice, followed up by tossing them in the Flying Car, summoning another copy and swinging for the fences. 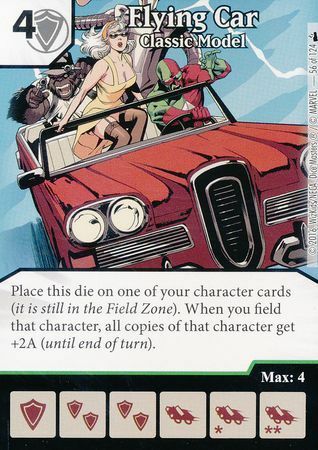 Or my favourite way to work this card is by rolling multiples of the character in the Flying Car and then fielding them one after another. The first one gets really big and each subsequent one gets bigger, but not quite as big as the previous one. This can make for some seriously difficult to deal with characters. Also if you combine this with a Bolt or Shield character and S.T.A.R. Labs, you can use the Attack boost from Flying Car to make your S.T.A.R. Labs action that much larger, allowing you to take down bigger characters with ease. Here is a character that makes any Lantern deck a lot better and a lot faster. His ability lets Lantern characters of the same colour as a lantern already on the field cost one less for each Lantern of that colour on the field. This only counts if the character is active, not how many dice you have of that character in play. So even if you have 3 dice of a single Lantern character in play it will only lower the cost by one. Still that’s nothing to scoff at. 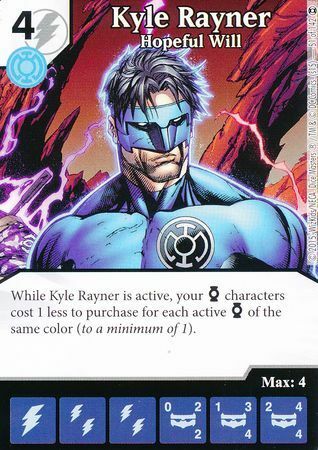 A single Kyle Rayner can make the 5 cost The Flash or Saint Walker more playable by bringing them down to a cost of 4, thus making it not necessary to have more than your base roll for a turn. 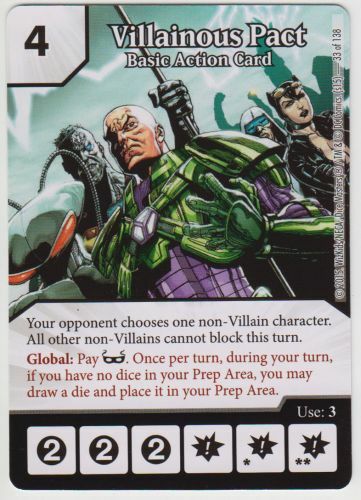 Combined with Green Lanterns you can start buying Hal Jordan’s and Mogo’s with just a standard roll for a turn. You may even be able to bring the 6 cost Mogo down to 1, which is incredibly powerful. Paired with Red Lanterns you can start getting really aggressive with Guy Gardener’s and Supergirls. Getting an 8/7 Overcrush character for 4 or less is incredibly strong, and it’s made possible with Kyle Rayner – Hopeful Will. Well there are a few of my favourite cards at the present time. Next time I will talk about some of my favourite Basic Action Cards. Hopefully this gave you some ideas for your own decks and will help encourage some creative thinking. I’m always a fan of things that have synergy and can combo so that’s largely what I look for in a card. Thank you for reading, and keep the dice rolling.